Home › News › Can the Euro survive? Kevin Julien is currently taking part in OBV’s Lewisham Civic Leadership programme. Here, he writes about the Eurozone crisis and whether the single currency can survive. One of the biggest questions in European and perhaps world economics and politics is whether or not the Euro can survive as a currency. The Euro began in 1999 and at present is the currency for 17 European countries. The challenge for a currency union is to ensure that the policies that affect the single currency help all of the member countries. In other words, the 17 countries are a 'currency block' and so the Euro area has to work economically as one country. However in Europe, great variety exists between the countries. The economies, living standards, population sizes for example are very different between the members of the Euro. In addition to this, there are 17 different governments with different political mandates and electorates. Agreeing anything between 17 individuals can be challenging so achieving this for 17 different countries is a greater task. For example, decisions on the common interest rate (a decision made by the European Central Bank) which affects the Euro and therefore the member countries may not be best for all 17 countries at the same time. Anyone who has ever worked in a large office with an air conditioning system, or heating system will know that it is usually impossible to have the right temperature for everyone! Well the same could be said for setting European interest rates and agreeing policies. The current crisis with the Euro affecting Greece, Italy, Portugal, Ireland and Spain arise largely from the borrowings by the governments of those countries since they have been members of the Euro. Germany has had a strong economy for a number of decades and is one of the strongest in the world. It has low inflation, low levels of debt, high savings, high exports, an efficient work force and a high average standard of living. Germany as a country can borrow money at some of the lowest rates of interest for any country in the world. Its characteristics and history suggests there is no risk of lending money to the German government. Germany's membership of the Euro meant that other countries alongside it in the Euro benefitted from Germany's AAA credit rating. These countries were able to borrow at lower interest rates than they would ordinarily have, if they had not been in the same currency area as Germany. The current crisis has shown that those countries have a far greater credit risk than Germany and borrowed more than their economies could afford as their economies were not as strong as Germany's. When the Euro was originally set up there was a 'Growth and stability pact'. In short, rules about the levels of debt a country was allowed to have in the Euro area. However these rules were not kept to by any of the members (even Germany) therefore many countries allowed their debts to get out of control, breaking their own budget deficit rules. The preparations for introduction of the Euro began as far back as 1979. 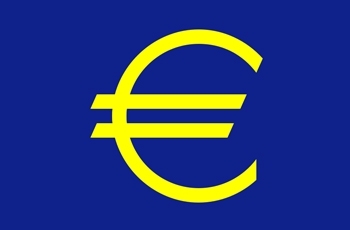 The 'Exchange Rate Mechanism' (ERM) was introduced during 1979 to the European Community as part of the European Monetary System (EMS) to reduce the variance of exchange rates within Europe and achieve monetary stability in preparation for Economic and Monetary Union and the introduction of the single currency; the Euro. The UK has had recent experience of the potential problems of being in a single currency. In 1990, the UK joined Exchange Rate Mechanism (ERM).The pound entered the ERM at 2.95 (Deutschmarks, (DM) Germany's currency before the Euro). This meant that if the Pound fell close to the bottom range of DM 2.778 the government would have to intervene to ensure the Pound did not fall below the bottom range. At the time Germany had high interest rates due to the reunification of West Germany with East Germany. This kept the DM strong and its value high. This meant that the UK had to follow a similar high interest rate policy in order to maintain its position in the ERM. However the UK was experiencing a recession at the time and thus required lower interest rates but was constrained by its exchange rate commitment. On 16 September 1992, the Pound was forced to exit the ERM as it was unable to stay above the DM 2.778 bottom limit. However, the UK's exit from the ERM, allowed the UK Treasury to regain full control of monetary policy and not be constrained by the ERM policy. Interest rates were able to come down and this had a positive effect on the UK economy enabling the UK to grow again and overcome its recession. The Euro area is a 'Monetary Union'. The interest rate and monetary policies are harmonised among the 17 members. Many observers believe that in order for the Euro to continue without any of the current 17 members exiting there would need to also be 'Fiscal Union'. This would mean that the taxes regimes of each country and overall tax policy would have to move closer among the member countries. This would also mean the richer countries using their wealth to raise the living standards of those in the less well off countries to even out the disparities between them. However, the problem is that this would lead to what many call a 'democratic deficit'. Elected politicians are accountable to their own electorate about how they spend their electorate (taxpayers') money. With fiscal union, tax payers have less control over how their money is spent especially when it is being spent in another country. This is the dilemma Germany faces. It can underwrite the debts of other Eurozone countries but if it does then its people may not support this and there would not have been a democratic process to seek the approval of the German people. Also, Germany would want to be sure that its wealth was not used to the clear debts of other countries that would simply get into the same financial situation again sometime in the future. Thus many say that the Monetary Union has to be accompanied by Fiscal Union. And with Fiscal union there needs to be Political Union. It is thought that the Euro was set up in the wrong way. Some say it should have started as a club with only a few members with specific standards and criteria for entry. Then if a new country outside of the zone wanted to join it would only be permitted entry if it had met all of the required standards. The Euro appears to be an emotional project rather than an economic one. Possibly to prevent Europe tearing itself apart again as it had in the first and second world wars. In its present form with the current members, it seems that the Euro is unlikely to survive. In the future it may have fewer member countries; perhaps with Germany and some of the stronger Northern European countries, or it is possible that Germany itself could leave. No-one can predict the future, but the pain that the people of Greece and other countries may have to endure to remain in the Euro may be too high a price to keep the currency going. Submitted by Jonathan Price (not verified) on Tue, 15/11/2011 - 17:27. Although this article is well written and cogently argued, I must respectfully disagree with its conclusion for the following reason. Like most articles printed in the UK press, most of which is thoroughly Eurosceptic, thanks to the politics of the owners, Murdoch, the Barclay brothers and Viscount Rothermere, the author does not attach sufficient importance to the Single Market. The creation of the Single Market is seen by most Europeans as the most outstanding achievement of the EU and the Euro is regarded as the cornerstone of the Single Market. Eurozone members will do their utmost to avoid undermining the Single Market and thus to avoid breaking up the Eurozone. An alternative way of looking at the present crisis is that the single currency is finally doing its job, in forcing member states to reform their economies. This reform is so painful only because it is so long overdue. First the Irish, now the Greeks and Italians, and after today's elections, the Spanish, will have governments dedicated to reform. Although painful, this reform will be much more beneficial in the long run than the continual devaluation that those countries used to experience and which the UK still does. Submitted by Freida28Collier (not verified) on Wed, 16/11/2011 - 05:02. I had got a dream to make my commerce, but I didn't have enough of money to do this. Thank God my fellow advised to utilize the home loans. So I took the collateral loan and made real my desire. Serena Williams outburst: What does it have to do with being Black?